A comprehensive guide to developing effective salary systems, remuneration and reward programs for NSW Local Government. This guide has been created in order to provide practical advice to councils when designing and managing remuneration and reward strategies, policies and processes. We would like to extend our thanks to the team at LGNSW for contributing to its development and helping to ensure that the industrial requirements and implications have been well considered. Indeed, ‘The Guide’ follows publication of the “Salary System Guide” previously published in its revised edition by LGNSW in 2004. Importantly, it is not intended to replace or reproduce the Award and as such, whilst Award provisions have been referenced (where we consider it relevant to do so), councils are advised to review the full text and latest version of the Local Government (State) Award 2014 to ensure a full and complete understanding of your industrial obligations. 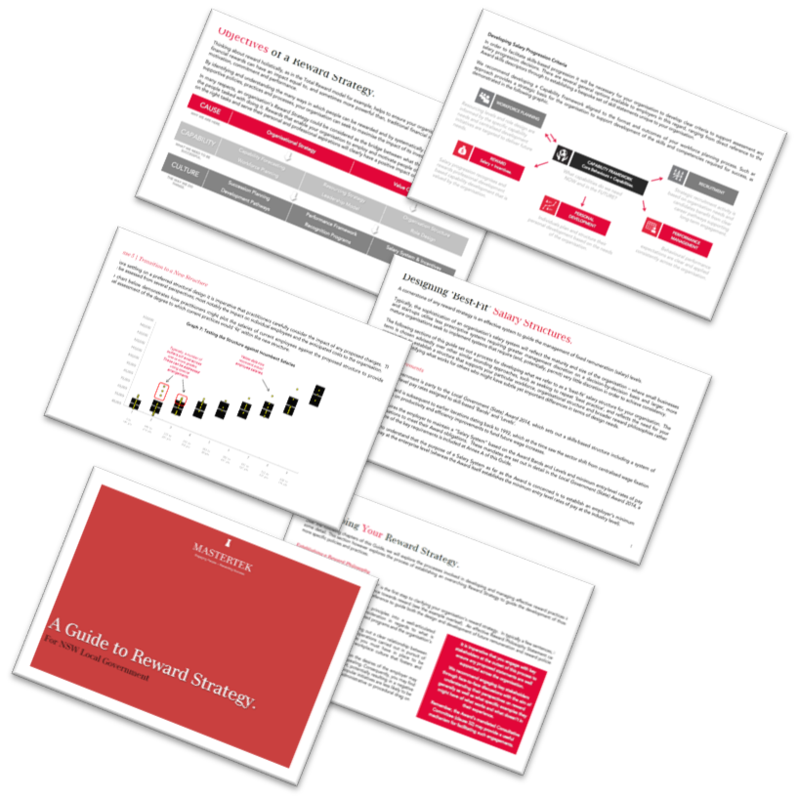 Our Guide to Reward Strategy has been designed to look beyond simply what is required to address the Award requirements, recognising that remuneration and reward practices play an important role in an organisation’s approach to meeting strategic and operational objectives by helping to create an engaging employment proposition which allows a council to attract, motivate and retain capable individuals.